Systematic desensitization – conquering fear. Anxiety can be a stubborn foe. It is tempting to avoid the things you fear and to find ways to numb those unpleasant feelings. Some people use alcohol or sleeping pills other people use avoidance. But eventually, you have to face that fear or be taken prisoner by your fear. You can’t get over something you don’t face. Sometimes the only way out of a burning building is through the door that is on fire. To begin with, we won’t ask you to walk through the flames, just to look at the door and see how your fear that it might be on fire on the other side is keeping you a prisoner in that room. Systematic desensitization reduces the impact of fears. One way of domesticating the anxiety monster is a technique called systematic desensitization. This is an especially effective technique for taming fears or anxiety when those anxieties are a fear of one very specific thing. Some of these item fears are so specific we name them Specific Phobias. Meaning you are deathly afraid of one particular thing even if you are never around that thing. Some of these specific phobias are so terrifying to the people with that particular specific phobia that I can’t even write the word out or they would stop reading. So let’s start with an exaggerated and somewhat humors example of how this specific desensitization could work. If you know who I am talking about here please do not let on. That person’s family laughed at him. But try as he would he just could not bear to eat at a table where there were crackers. Eventually, this got so bad that I – I mean he – could not eat with his family when they were having soup for fear there would be crackers present. This fear became progressively worse. Soon eating out was impossible because there might be crackers all around. Eventually, even commercials for crackers or the mention of the word might provoke a panic attack. Something needed to be done. The cure for cracker or saltines phobia? Systematic desensitization. So off to the therapist this sufferer from cracker phobia went. Here are the steps in a recovery from cracker phobia. First, you need to be willing to talk about this fear and develop a scale of fear. Something like if we just talk about that fear I – I mean he – had by referring to this as the fear of “You know what.” That would be a 1 on the fear scale. Actually using the name “Cracker” that scored a two. To see a picture of some crackers in a magazine that would rate a fear factor of 4. Entering at a restaurant where there might or might not be crackers present, that was a 5. Seeing actual crackers, that would be a 6 and witnessing someone eat one that would rank an 8. To have to physically touch a cracker that would rank a 9. To personally eat a cracker that would rate a 10. Now having developed our scale we would begin to work our way up the scale all the while with the therapist reassuring the client. Along the way, the therapist might teach the client some relaxation techniques, deep breathing and so on. The theory here is that you can’t really feel two contradictory feelings at the same time. The more you concentrate on your relaxation the more likely you are for the fear, or anxiety if you prefer, to subside. So over time, the exposure to the dreaded crackers becomes more and more frequent and closer, all the while practicing the relaxations skills. At the end of treatment, the goal would be for the client to actually open a package of crackers and to eat one while the counselor watched. Now neither I nor anyone I know has really suffered from a cracker phobia. This cracker fear has been a long time joke in the family. But I hope this has demonstrated how a counselor could help a client overcome a specific phobia that may sound funny to the client’s family and friends but has been causing the client some very real distress. What are some of the specific phobias that this method is known to work on? Well the number one fear in America, more severe than the fear of death, is the fear of public speaking. Also up there on the list are phobias to snakes and spiders. Fear of snakes is no big thing for most city dwellers, but if you needed to live and work outdoors this could be a trial. If you worked at the zoo in the reptile house, a fear of snakes could cost you your job. So whatever your fear or specific phobia there are treatments to help you turn that anxiety or fear control back down to a manageable setting. Similar to systematic desensitization, at least in my book, is the use of exposure and response prevention. People with Obsessive Compulsive Disorder (OCD) develop rituals or routines that they feel the need to perform to reduce the anxiety. If we can expose the person to the thing that they fear and prevent the ritual, then over time the fear diminishes. Combine some relaxation techniques with the exposure and response prevention and you move close to the systematic desensitization approach. Best wishes on taming those pesky excessive anxiety and fear monsters. 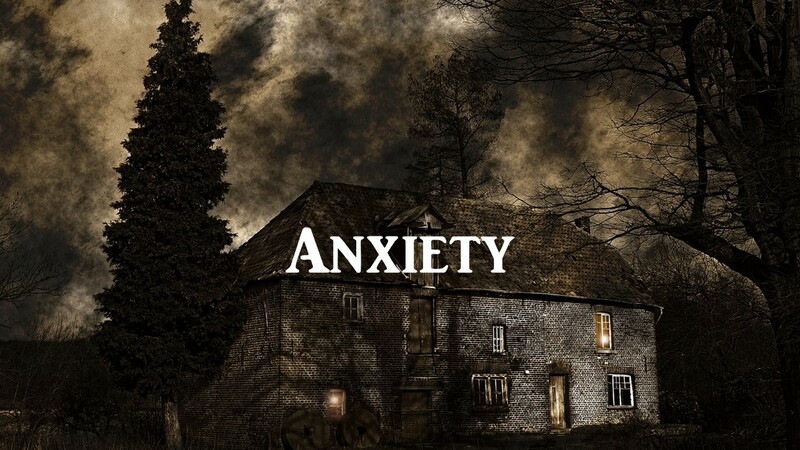 This entry was posted in Anxiety, Emotions and Feelings, PTSD & Stress and tagged Anxiety, By David Joel Miller, emotions feelings, exposure and response prevention therapy, Licensed Therapist & Licensed Counselor, Obsessive–compulsive disorder, Phobia, Specific Phobia, Systematic desensitization by David Joel Miller. Bookmark the permalink. Thanks for sharing that experience. I suggest you try to find someone who can help you work on reducing your fears. You may never get rid of them completely but you shouldn’t have to live with this level of fear. Thanks for the reblog and best wishes. Great post, and humorous, too. Good description of what those undergoing ERP therapy for OCD experience. It’s hard for those of us without anxiety to understand how tormenting the therapy can be, but the bottom line is, it works!